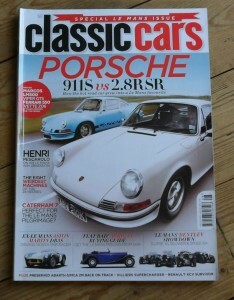 August 2012 of the British Magazine, Classic Cars. The cover feature of this issue is the Porsche 911S vs the 2.8RSR. Other articles include items on the “Flat Rad” Morgans, Le Mans Bentleys, Aston Martin DB3S, Renault 4CV and many more.